Good Wednesday morning! I have been excited to share this with y'all since last Wednesday. I knew as soon as husband and I made it, that it was most certainly worth sharing here. If you're anything like me, then we share a big kind of love for sweets. On this particular afternoon, it was rainy, overcast, and quite chilly. Husband had returned from a work trip, and baby girl was asleep (until we woke her up with the noise from the air popper #rookiemistake). 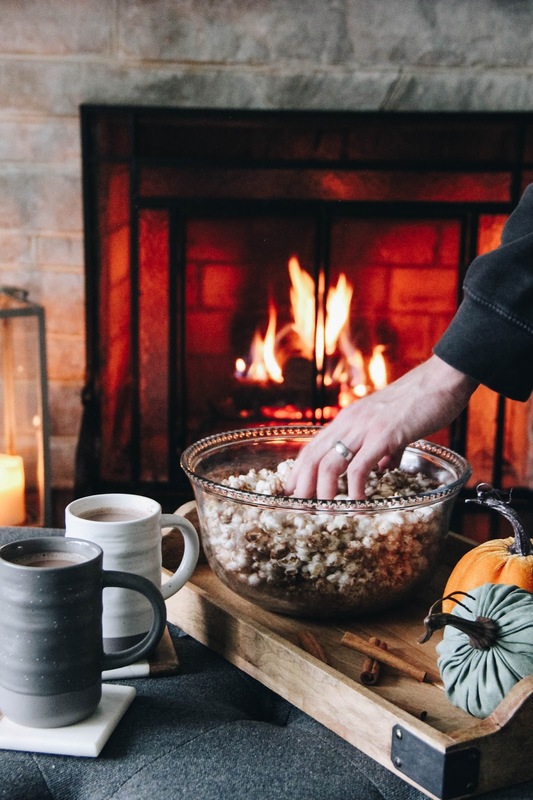 Basically, it was the perfect afternoon for a little popcorn + cocoa + a fire. And that's exactly what we did. 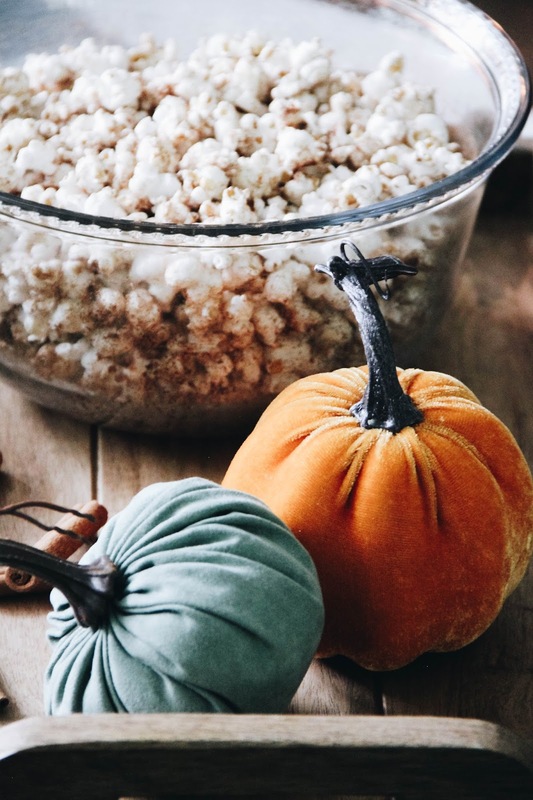 But, instead of making a salty popcorn, we spiced things up a bit (see what I did there?) 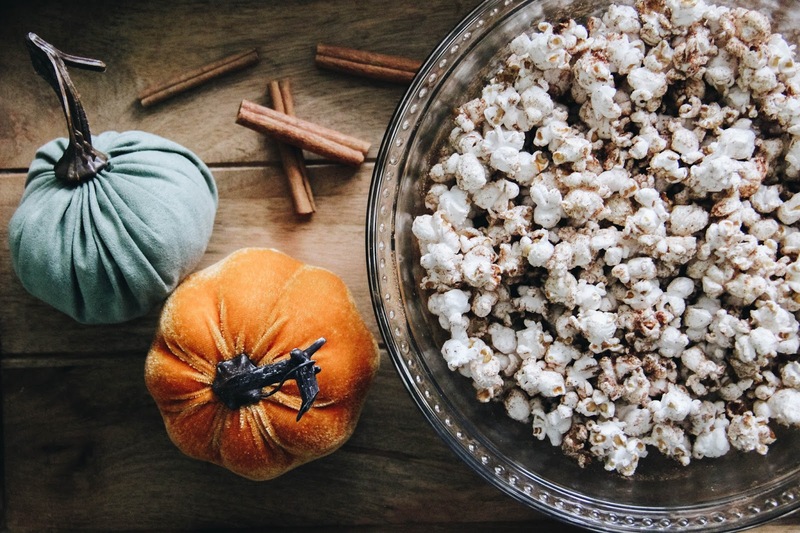 and made a more fall-festive rendition of our beloved air-popped popcorn. This recipe is SO simple, and only calls for five ingredients. I do recommend using an air popper because there is nothing like it when it comes to popcorn. 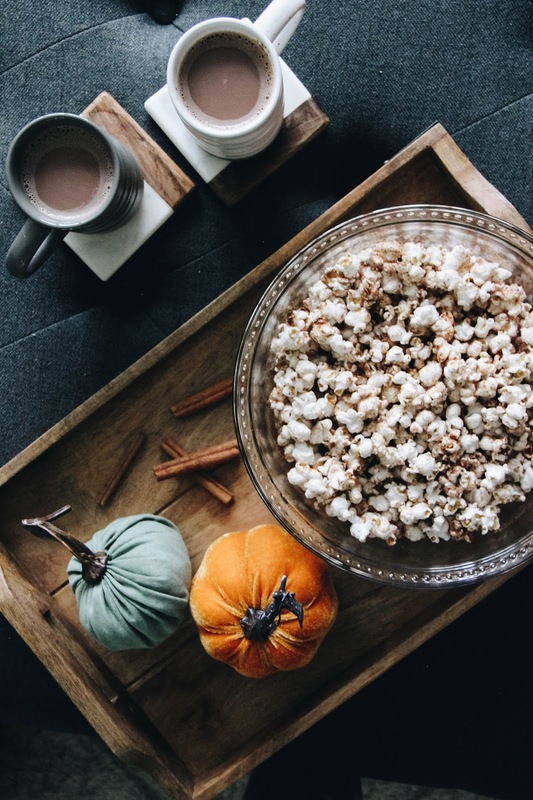 If you have a party to host or an afternoon to binge on Netflix, this is your snack from now through forever. Pop the kernels in the air popper and set aside. In a saucepan (or microwave), melt the butter. While the butter is melting, mix together the sugar, cinnamon, and pumpkin pie spice. Drizzle the butter over the popcorn, tossing well to cover it evenly. Sprinkle the sugar + spice mix, again tossing well until the popcorn is covered evenly. Enjoy with hot cocoa or even sparkling apple cider, preferably while fireside! 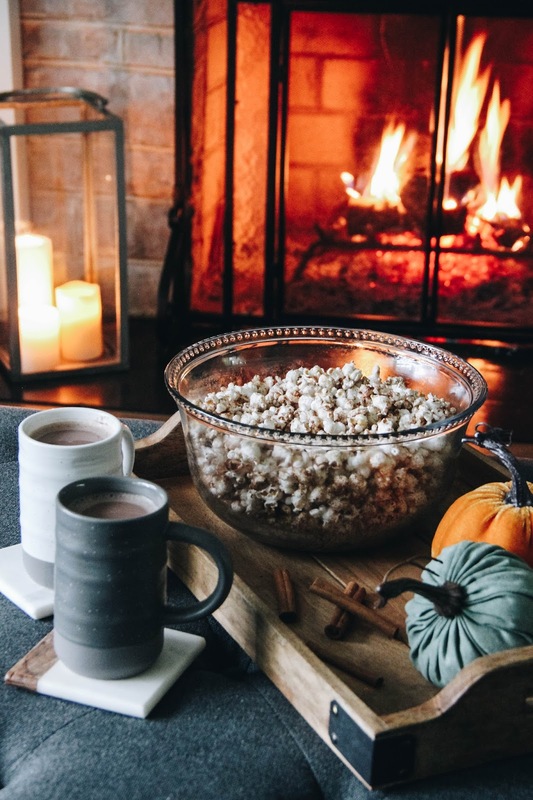 Grab a blanket and your person for a cuddled up afternoon or evening on the couch by the fire. The perfect movie is also required! p.s. Did you hear that the Target dollar section has come online?! You do have to buy in multiples, but it's a start!